WBC Welterweight World Champion Andre Berto founded the Berto Dynasty Foundation following the massive 7.0 earthquake that hit his beloved Haiti in January. Andre traveled to Haiti with Project Medishare shortly after the earthquake to provide aid and moral support to the Haitian people and returned to the United States determined to help the nation of Haiti rebuild. The 2004 Haitian Olympian acted quickly, developing the Berto Dynasty Foundation to raise money and partnering with organizations on the ground in Haiti, including Project Medishare. Since that time, he has continued work in Haiti, working with Generosity Water to build wells and provide critical clean drinking water and making returning trips to Haiti with The Brewer Foundation and other organizations currently working in the island nation. 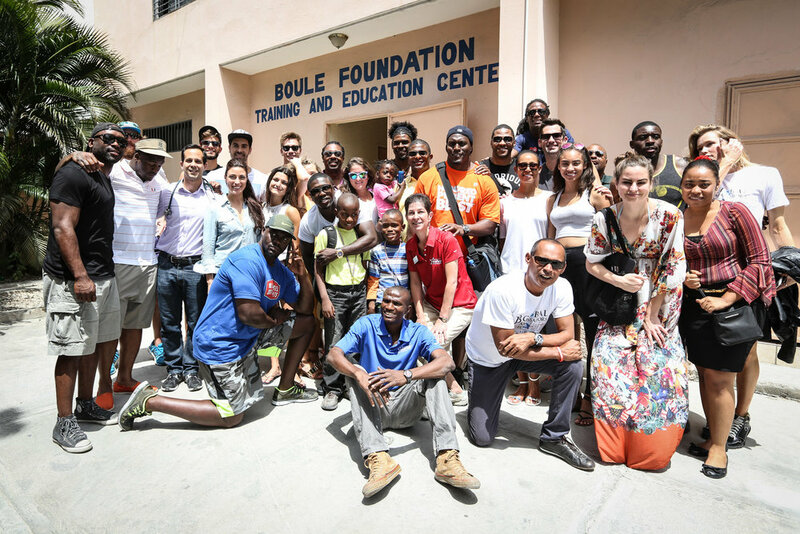 In addition to the Haitian relief efforts, the Berto Dynasty Foundation is focused on provide valuable support and empowerment to those in need, including patients with diseases such as Sickle Cell Anemia, a disease Berto’s younger sister Rachelle suffers from, and Parkinson’s Disease, as well as youth throughout the world who are fighting to reach their full potential. Working with young people has always been a cause close to Berto’s heart and prior to launching the Berto Dynasty Foundation, he worked closely with the Citrus Centers Boys and Girls Club that he grew up in near his home in Winter Haven, Fla. He plans to continue this work with the Berto Dynasty Foundation through initiatives both in the U.S. and in Haiti.